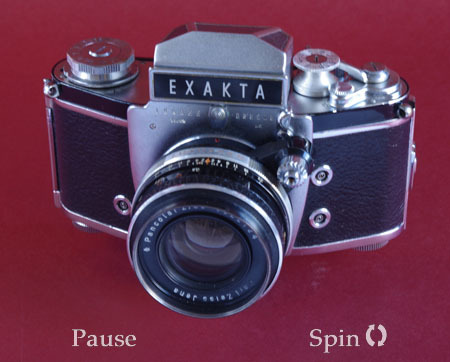 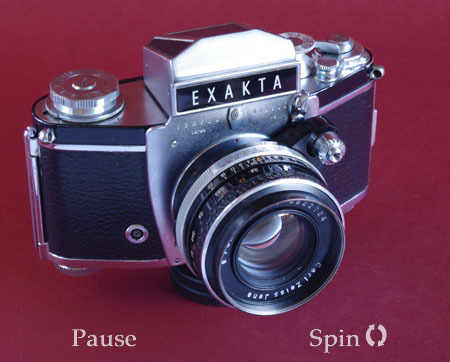 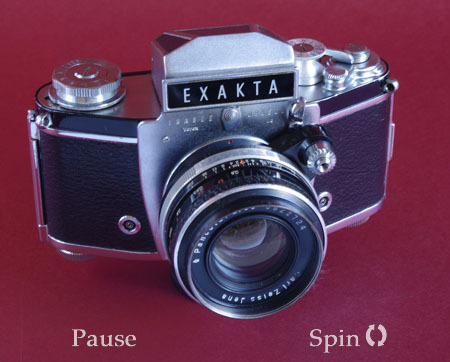 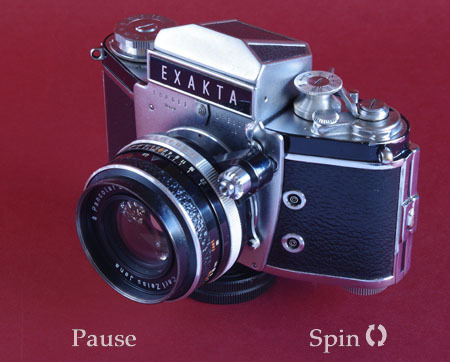 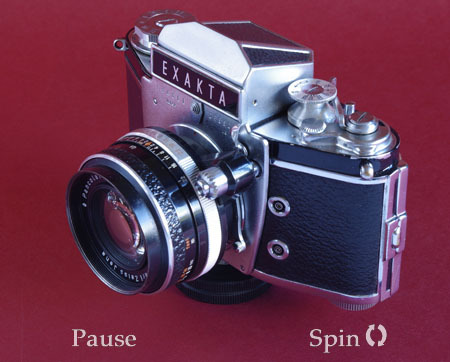 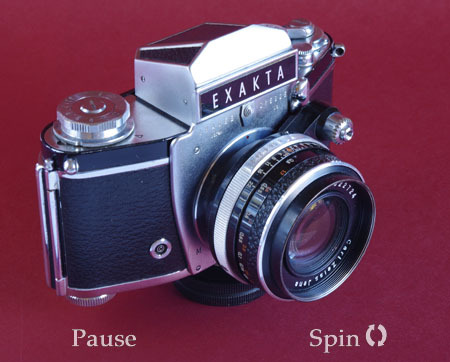 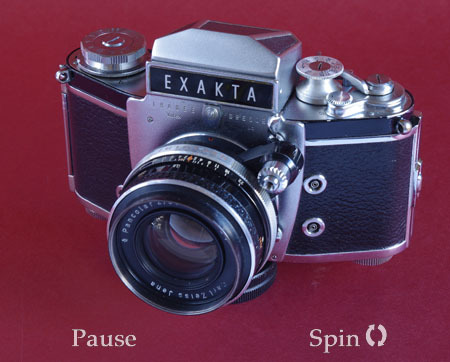 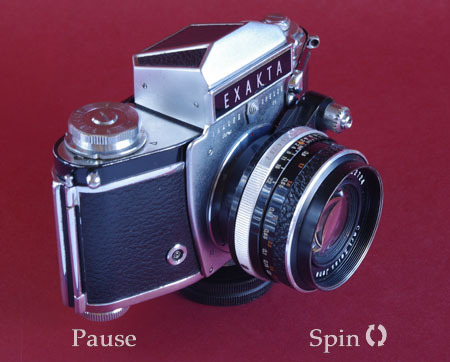 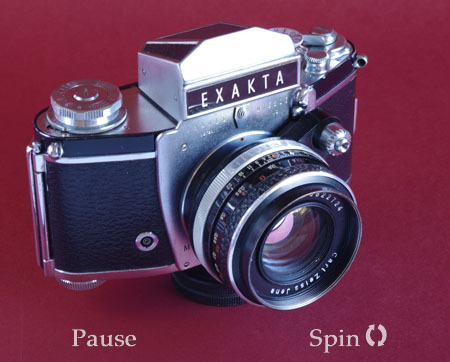 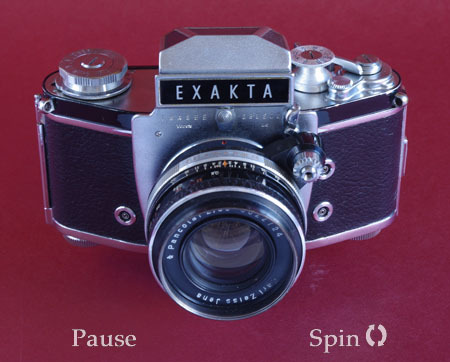 Exakta Varex IIA, vintage camera - all round view at 10° intervals. 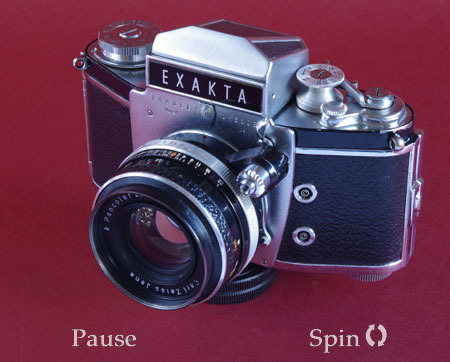 These later Exaktas may not have quite the following as their earlier bretheren, but I still think they are undeniably attractive cameras. 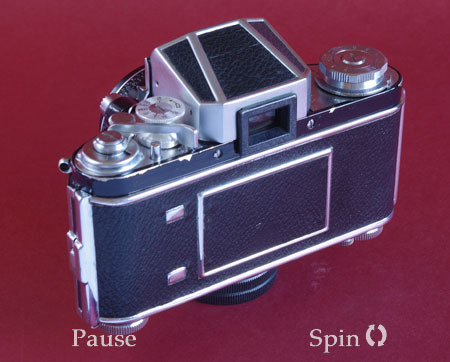 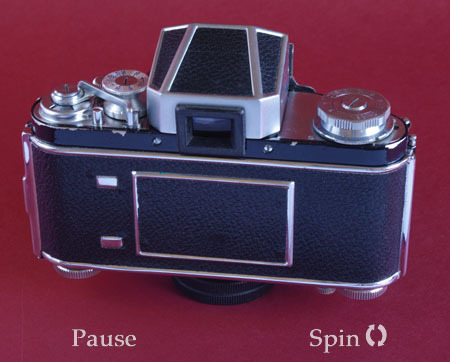 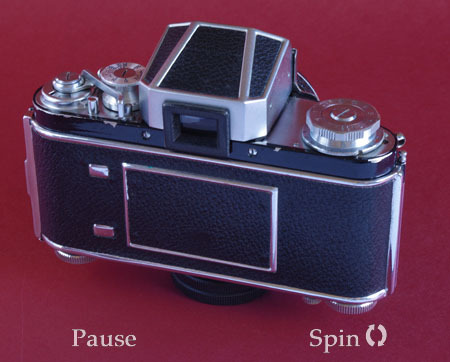 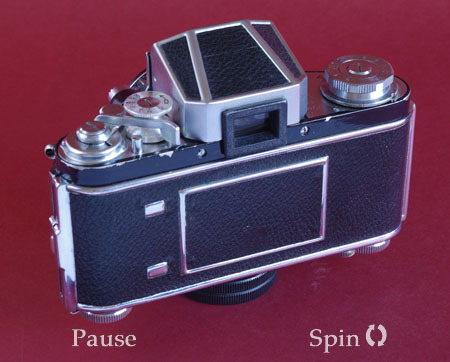 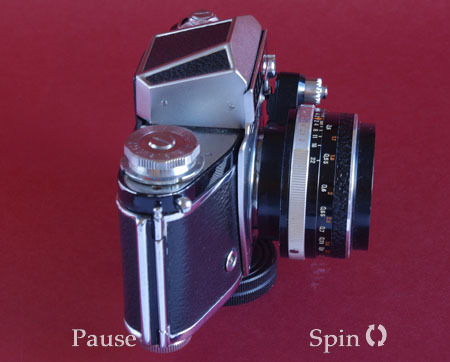 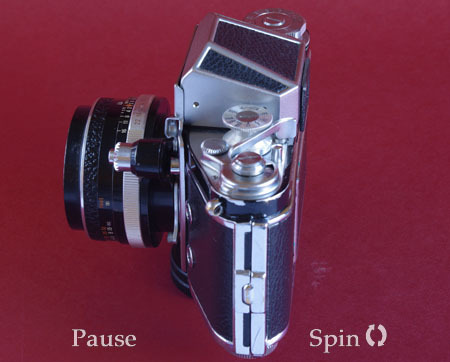 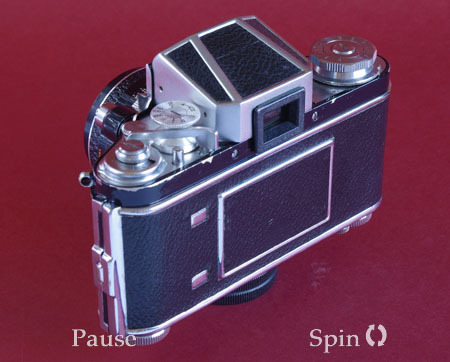 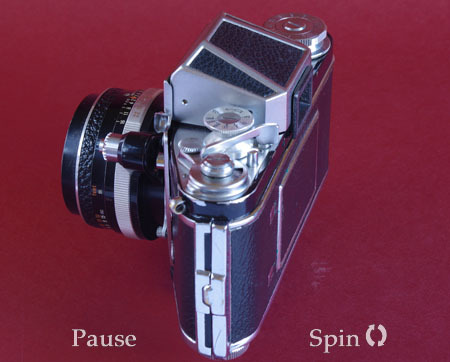 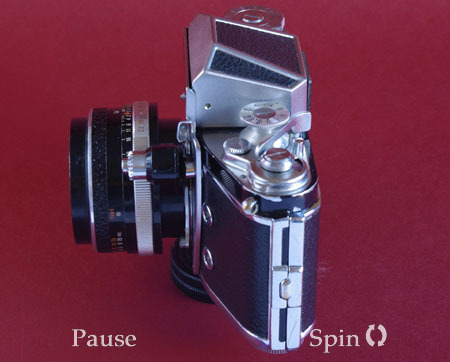 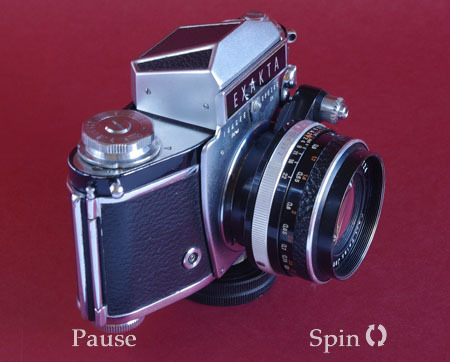 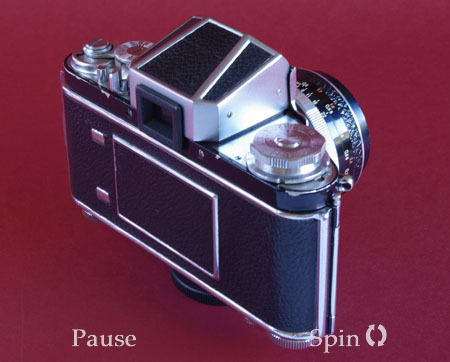 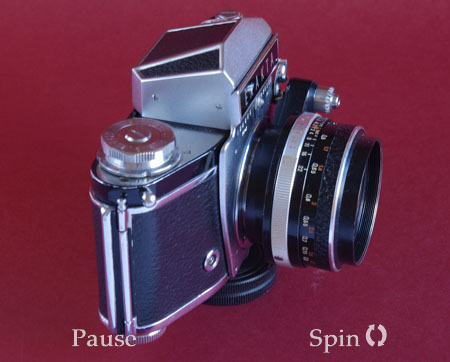 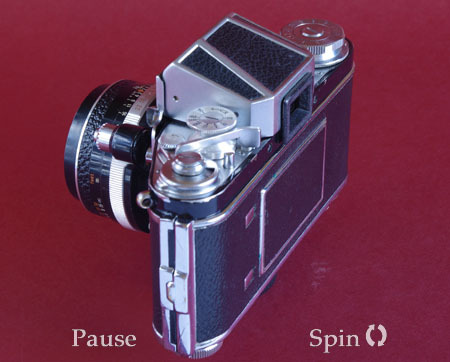 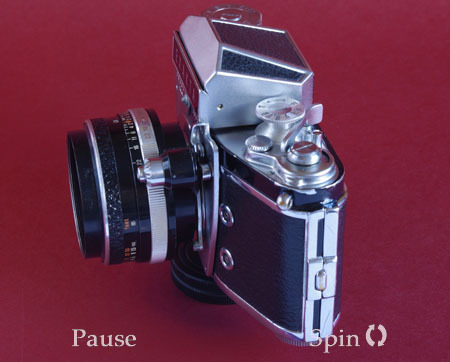 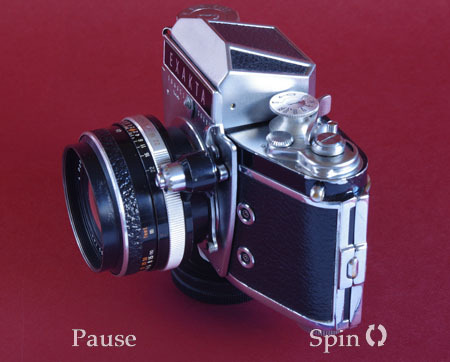 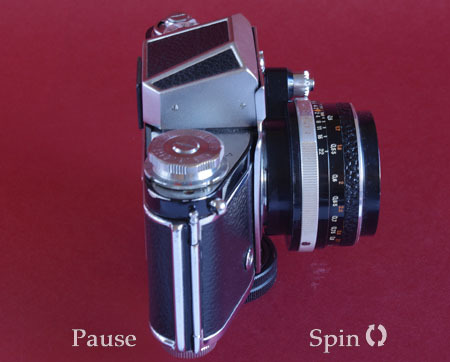 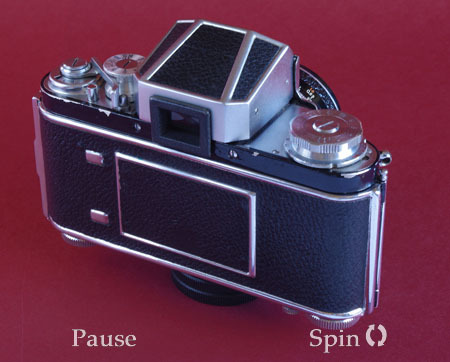 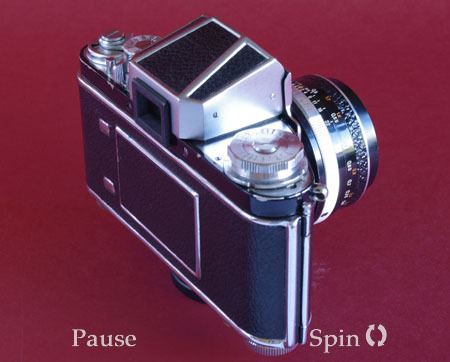 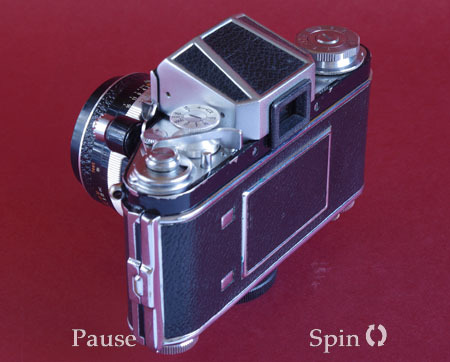 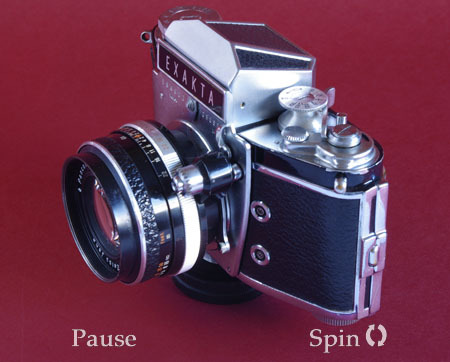 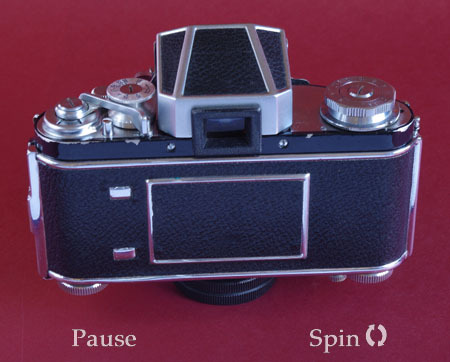 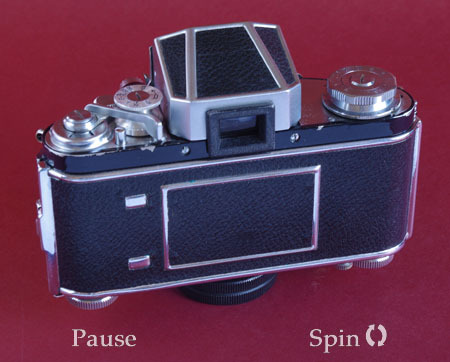 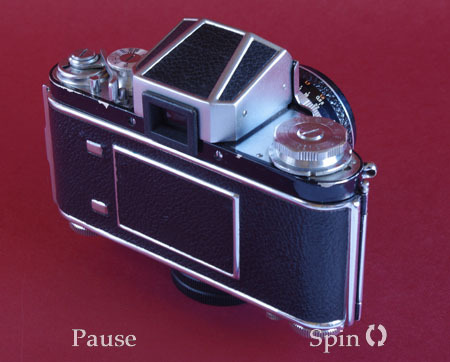 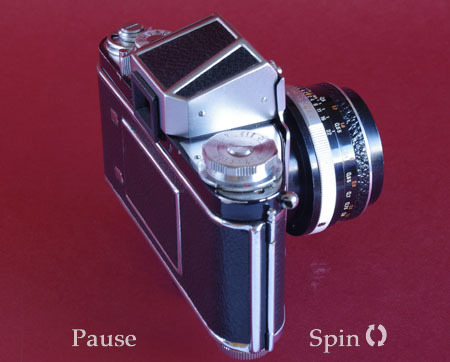 The slightly quirky left handed advance, the shutter setting knob, somewhat boxy prism housing and the wonderful delayed release and timed shutter speed control are all seen to good effect in this rotating view, as are the twin electronic flash sockets and one flash bulb socket. 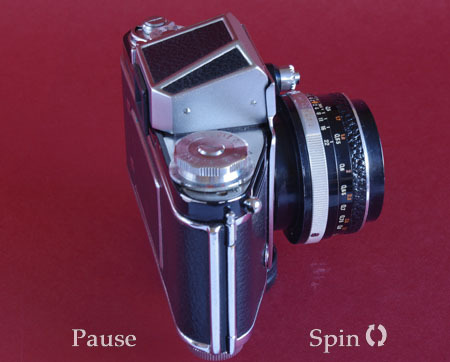 The insides can be seen here.